Sodium Benzoate is a common food preservative. It is produced through a chemical reaction between sodium hydroxide and benzoic acid and is mostly used to preserve acidic foods such as fruit juice, carbonated drinks, pickles and salad dressings. It is also used in the cosmetics and pharmaceutical industry. A longer shelf-life means the product can be sold at a more affordable price in higher quantities. Sodium Benzoate is used because it kills microbes. Because of this, it can upset the balance of your gut bacteria if you ingest enough of it. If Sodium Benzoate reacts with ascorbic acid (Vitamin C), it can create Benzene which is a known carcinogen. Many people react badly to Sodium Benzoate and it can cause asthmatic attacks, hives and other allergic reactions. If a product contains ascorbic acid or vitamin C on the ingredients list as well as one of the above, it might be prudent to be doubly cautious. How do you feel about Sodium Benzoate? Does your family avoid it? I do. 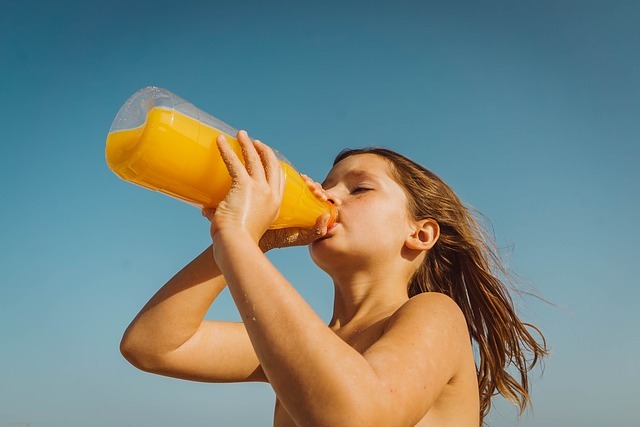 Since childhood, I have suffered from asthmatic attacks from drinking juice containing Sodium Benzoate. I would love to hear your thoughts. have never been able to take sodium benzoate closes my chest and I then have an asthma attack. Horrible stuff. Same here, Sandra! Nice to know I’m not alone.